We need your help to make this event happen. 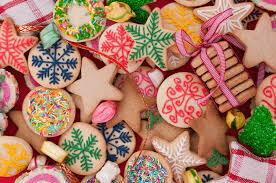 Drop off your cookie donations either Friday 8:30am-12:30pm or between 4pm and 7pm or Saturday between 7:30 – 8:30am so that we can sell them. We suggest every family at Grace does their best to bring cookies. We need about 6 dozen per family on average to make this event a success for our community. We are inviting families with little ones to consider making some room for Christmas toys at your place by helping us make our nursery better. 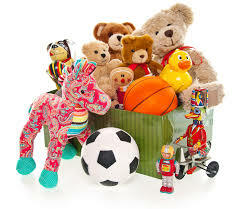 If you have used toys that are in good condition that are appropriate for the nursery, we would love to get a few new ones this season to replace old well-worn toys we have. You and your child/ren can leave them in Pastor Lora’s office. (Please use your best judgment on what would be most helpful to Grace’s nursery ministry. If you have questions about what might be good, talk to Pastor Lora or our nursery coordinator, Kacie Lockyear). 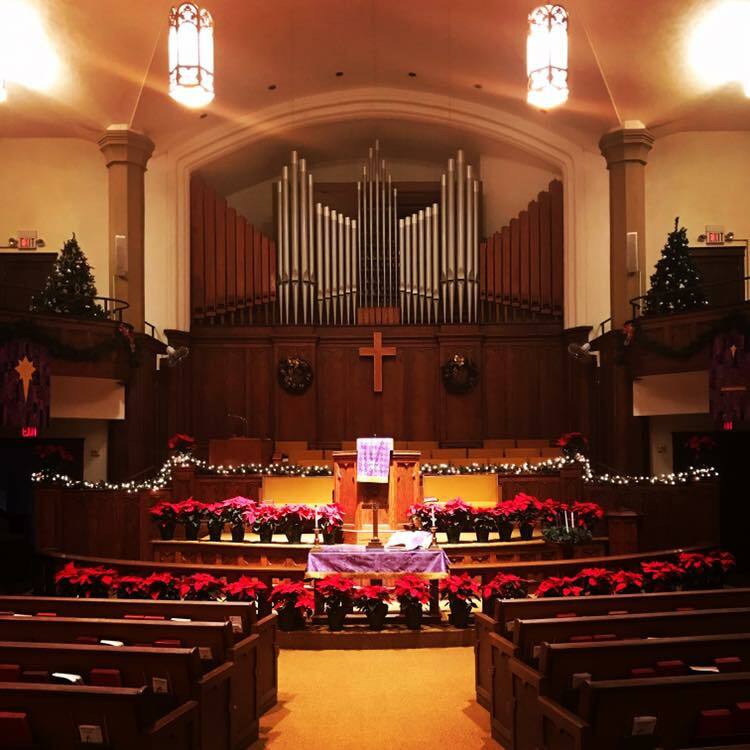 We encourage you to use this as a chance to teach your children about generosity and why we give at Christmas! We are so happy and feel so blessed that our church family has adopted all the Irving kids on the list. Such a blessing! Thank you all! Thank you to everyone for the hard work hanging the greens. The Church looks absolutely beautiful. Emmanuel, our hope is in you. 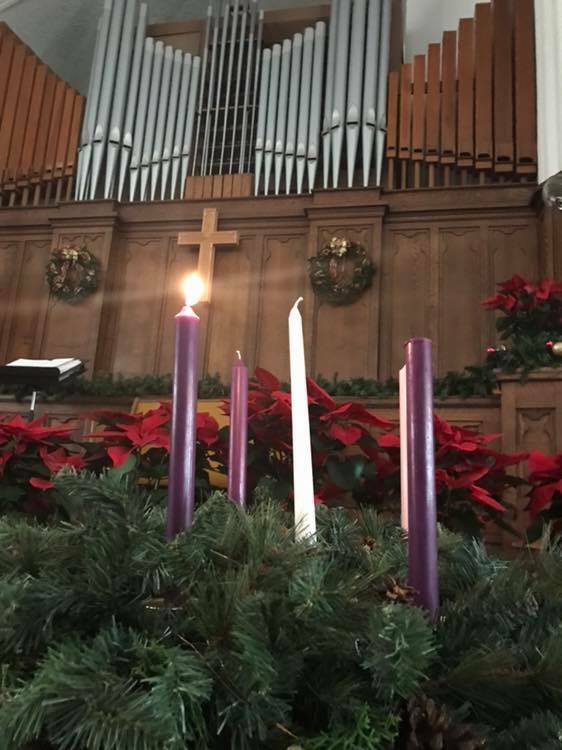 That was our prayer as we lit the candle of hope on the Advent wreath in worship. This season is so busy and we all seem to have a love/hate relationship with it. Why not add a prayer to your faith journey and season leading up to Christmas that will calm you down, remind you to breathe, and help you remember what the season is all about. Set your phone alarm for at least two minutes and repeat that prayer over and over again. Allow God to draw meaning out of your practice. You can do two minutes in the car, while you’re waiting for the microwave to go, or even in the bathroom (no shame!). This time is busy. Give yourself a break with some Jesus time this season. 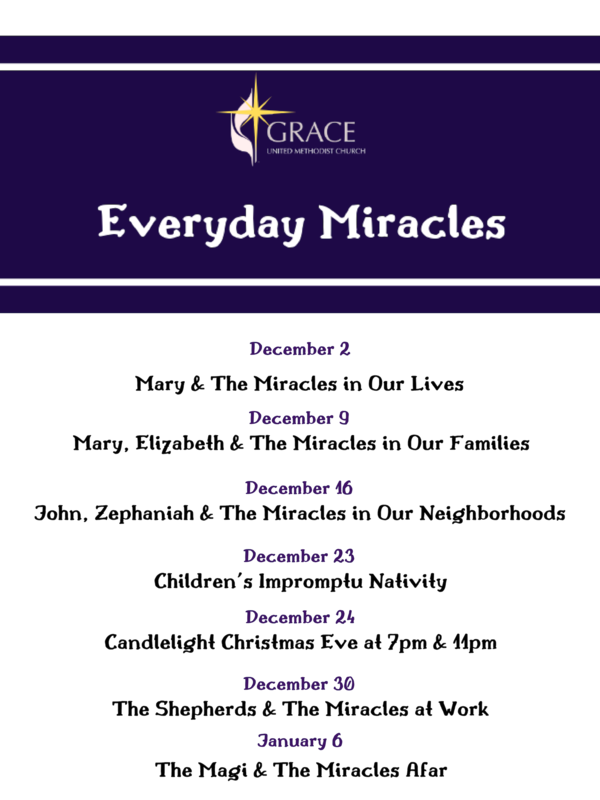 During this holiday season, SP/PRC would like to honor the staff of Grace with a love offering. We have a wonderful staff and we want to let them know how much we appreciate each and every one of them. If you would like to make a donation, offerings are being coordinated by Staff/Pastor Parish Relations Committee members Lonnie Boyd and Charles McKinzie. Donations can also be mailed to GUMC at 320 College St., Winfield, KS 67156, Attn: Bev Grunder (please note “Staff Love Offering” on the check memo line). Please plan to make your donation by Wednesday December 19th. 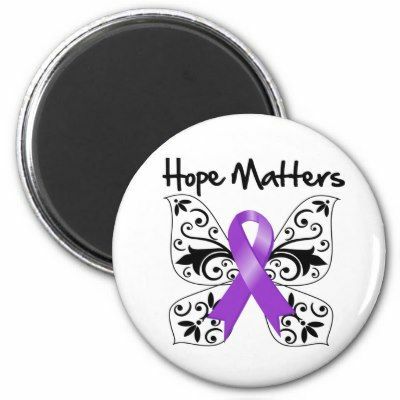 Domestic Violence and Sexual Assault Resources Donations! We are accepting donations to help women at the Domestic Violence and Sexual Assault Resources from November 25th-December 16th. We are collecting blankets, laundry soap and toilet paper. Any help Is greatly appreciated! There will be boxes in the office to collect them. If you have any questions you can contact Julie in the office. We thank you so much!